If you’re like many Americans, your medicine cabinet is full of pill bottles you no longer use — stamped with expiration dates that passed ages ago. Those expiration dates are intended to represent the last date on which manufacturers can guarantee that drugs are both potent and safe. Interestingly, a groundbreaking Food and Drug Administration study found that some drugs are safe and effective over a decade after their expiration date. That doesn’t mean, however, that it’s prudent to let expired drugs sit around. If accidentally ingested, unwanted pills could prove dangerous or even deadly. This is particularly true for medications that contain controlled substances. Sometimes, a single pill is all it takes to cause damage. Accidental ingestion is far more likely with forgotten medications that are improperly labeled or left in easily accessible locations. If you have children at home or otherwise suspect that expired pills could be accidentally ingested, it’s best to take action now. Below, we offer instructions for safely disposing of prescription pills. The United States Drug Enforcement Administration (DEA) regularly hosts take-back events, in which special collection sites are set up for safe disposal. Additionally, several law enforcement departments host local take-back events. These official events are nearly always preferable to disposing of medications on your own, unless the directions on the pill bottle explicitly state that you should dispose of drugs in the toilet as soon as possible. If take-back events or collection sites are unavailable or inaccessible, it’s possible to dispose of prescription drugs safely at home. You’ll need to take a few extra steps, however, to ensure that pills are safely discarded. Experts at the FDA recommend mixing medications (without actually crushing pills or tablets) with cat litter, dirt, or other unpalatable substances. Place this mixture in a plastic bag and seal carefully before tossing it in the trash. Remove any personal information from the pill container before you dispose of it. Some substances are actually best disposed of promptly in the toilet. Typically, these substances include explicit instructions for toilet disposal. This method is generally reserved for especially dangerous medications that could prove toxic (or even fatal) with a single dose. With such lethal medications, prompt toilet disposal dramatically reduces the risk of accidental ingestion. When in doubt, check the FDA list of medicines recommended for disposal by flushing. 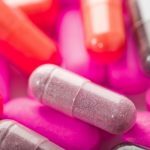 Some people are reluctant to flush pills for fear of how these substances might impact the environment. According to the Environmental Protection Agency, no known signs of flushing-based environmental damage have been found. If you’re worried about the impact of flushing dangerous substances, attend a take-back event or visit an authorized collection site — do not let these drugs sit around at home. If prescription drug issues have caused you or a loved one to suffer, medical malpractice may be to blame. Contact the Rosenfeld Injury Lawyers LLC at (888) 424-5757 to learn more.